The authorities of the Federal University of Technology, Owerri (FUTO) have released the direct entry admission list for the 2018/2019 academic session online. FUTO direct entry admission list have been successfully uploaded online..
Read: FUTO UTME Admission List for 2018/2019 Academic Session. Check FUTO Direct Entry Admission List. 1. Go to FUTO direct entry admission status checking portal https://portal.futo.edu.ng/CheckPostUTMEResultsDE.aspx. 2. Enter your JAMB registration number in the appropriate column. 3. Finally, click ‘Submit’ to access your admission status. 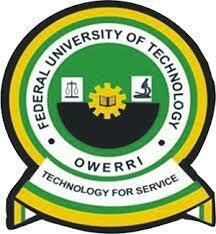 Read Also: FUTO Registration Guidelines for Newly Admitted Students. Congratulations to all the candidates that made it to the Federal University of Technology, Owerri (FUTO) Direct Entry Admission List for the 2018/2019 academic session.